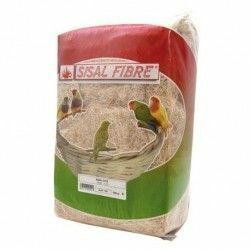 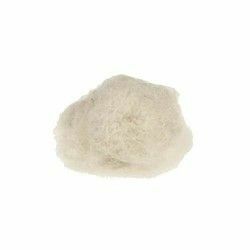 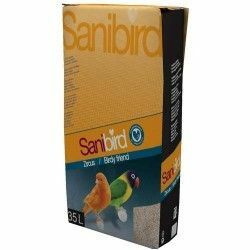 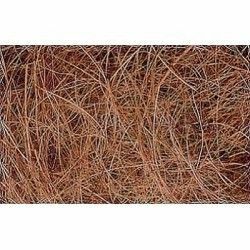 COCONUT FIBER NATURAL SISAL FIBRÉ COMES TOALMENTE CLEAN OF DUST AND OTHER PARTICLES SO THAT BIRDS CAN BUILD THEIR NESTS WITH THE PEACE OF MIND OF THE BREEDER. 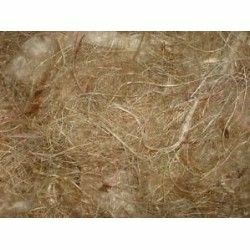 COCONUT FIBER SISAL 50 GR. 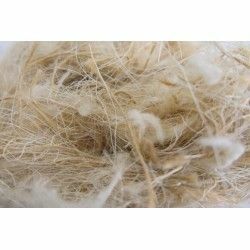 SISAL, HAIR, JUTA AND COTTON 50 GR. 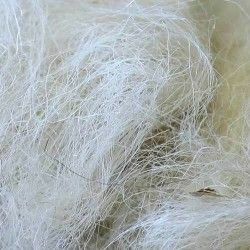 White hair is totally natural for the manufacture of the nests in birds in captivity.